A Natural chest rub for when you have a cold or flu. Contains no Camphor which is ideal for asthma suffers. 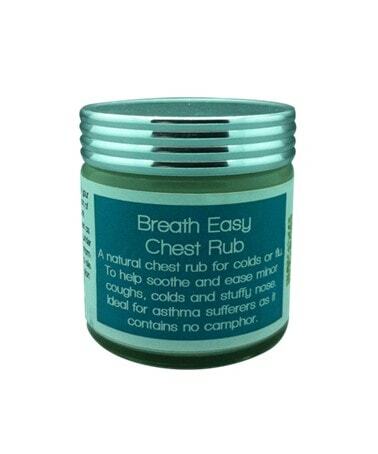 A Chest Rub for when you have a cold or flu, this has been specially formulated with no camphor which has been known to effect people with asthma. With all natural ingredients a much healthier alternate to our common vicks rub. You can also rub on the bottom of your feet, which has been known to work just as well as rubbing on the chest and can also act as a detox for the feet.